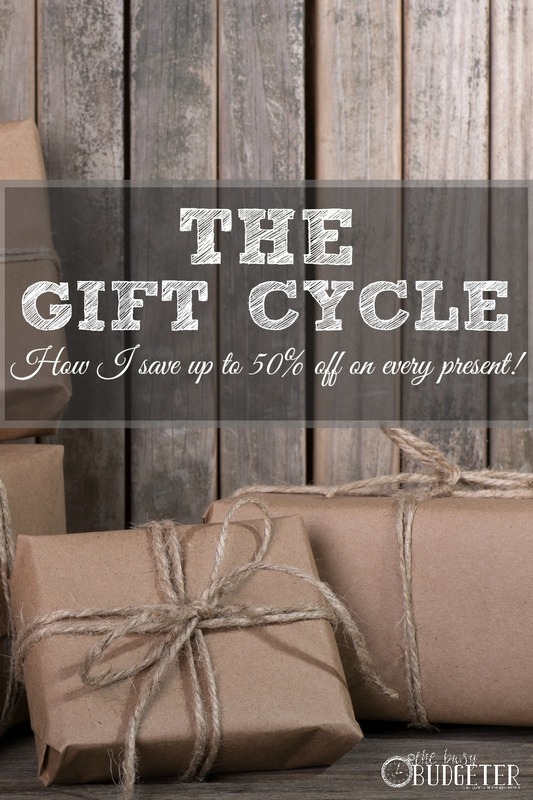 Learning how to buy gifts for less is a skill that will serve you well over the years! When you add up all the birthdays, Christmas, anniversary, wedding, baby shower and valentine's day gifts that we buy in a year, it’s a lot of money! The gift cycle Method saves us about 50% of gives and tons of time. What is the gift cycle method? You want to give an awesome gift worthy of your loved one but it’s important to realize that you don't have to do that with a ton of money. In fact, if you adopt our system, I bet that you’ll give better presents than you ever have before and you’ll save 50% or more! We adopted the gift cycle a few years ago and it’s saved us more than 50% of our gift budget but more than that, it saves us time! No more last minute searching for a gift for an upcoming event. I’m ready ahead of time with a thoughtful unique gift. With the gift cycle method, we plan ahead and stock up on unique presents at their lowest price. Things to consider when using the gift cycle method. You need to have the space to store up to a year's worth of presents. Shockingly, this doesn't take as much room as you would think. It takes us two shelves of a closet in our linen closet. You can go nuts with a gift wrapping station too, but we just throw a roll of year round appropriate paper and a roll of Christmas paper on the shelf along with a pair of scissors and some tape. Pursue simple is my motto. Grab a piece of paper and write down everyone in your life that you routinely buy presents for and the event that you buy for. This usually is birthdays for your immediate family and Christmas for close friends and family and teachers. If you’re buying for children, list the age that the child will be when the event occurs (like Colin’s 5th birthday or Colin will be 6 at Christmas). 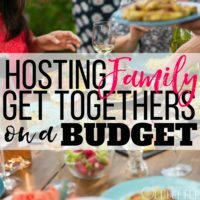 Now add in any upcoming weddings or baby showers that you know you’ll have in the next year. Now figure how many additional weddings and baby showers to expect. Think about the last year. How many weddings and baby showers did you end up going to? Come up with a number of extra presents that you will likely need for additional weddings and baby showers. For most people this is one of each, maybe two. But if you’re 26 and have 32 sorority sisters all will serious boyfriends, than you’ll need a lot more. Use your best judgement and know that if you don't end up using them today, you’ll use them next year or even the year after that. Make a gift chart somewhere that you can reference it when you're shopping. I use my daily schedule book for this but you may like to do it in your smartphone, or even in a notebook. The key here is to make it accessible when you're out and about. 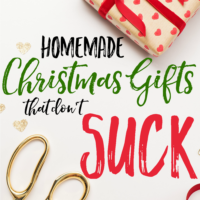 That list will do you no good in your gift closet! Set a budget for each gift. Aim for a reasonable amount that you know you can get a gift that they would enjoy for but that also fits into your yearly budget. 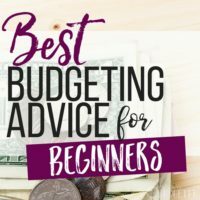 If you don't have a budget, let's take a step back and start there. 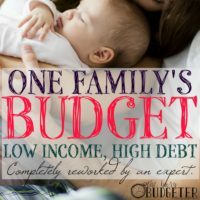 You can learn how to create an effective budget step by step here. Budget a certain amount of money to go to your “gift fund” every month. (we set up a separate bank account just for gifts using this method). As you go about your life, when you see great deals, grab them up and store them in the gift closet. Make sure as you buy things, that you mark the gift as purchased in your log (I go a step further and wrap it as well). My goal is always to save at least 50% on every gift. I can usually get below that. How to buy gifts for less (tips and tricks!). Since you're buying ahead of time, you won’t know for sure if the person that you're buying for will already have the present you'd like to buy. Try to look for unique things that you know the person would love and appreciate. Think outside the price tag. Do you know what my favorite present of all time was? A “Colin Powell for President” button. The gifter knew how much I loved Colin Powell and found it at a flea market for $2. It was so unique and was clearly bought for me. While you might raise an eyebrow at that gift, I thought it was SO awesome and still have it to this day. Another favorite gift is a framed print of the exact sky over Atlantic City on the night that Jon and I were married. It’s one of my favorite things in the house. There are so many gifts that would speak directly to the person receiving it that are cheap or even free. It’s truly not about the cost of the gift, it’s about thinking outside the box and surprising someone you love with something you think they would enjoy. There are three questions I ask myself when looking for a unique but cheap present for someone. What is most important to them? What do they value above everything? What do they need but not even know about? A perfect example of this would be my husband. Otherwise known as the guy that has misplaced his keys almost every week of our married life. I got him a Tile for Christmas that allows him to track the location of his keys with a cell phone app. The key to finding amazing unique gifts is having time to run into things naturally. If you're trying to come up with something for next week's birthday, it’ll be too hard to come up with something perfect at a great price. Our goal is to run into something that makes you think of someone you need to buy for and grab it then. Use price trackers like camel camel camel to see the difference in prices for a particular item on Amazon over the year. When you have something specific you know you want to buy, being able to historically track their prices will help you grab the item at the lowest price. Take advantage of after season sales. Leftover Halloween costumes make an amazing dress up trunk gift for kids. You can buy tons of gifts in the post Christmas season clearance for a big discount. The same rules apply for jewelry after valentine's day. When all else fails, don't discount the gift of unique experiences. By thinking and planning ahead, you can save time and money and get the people that are important to you the perfect gift! Give this a shot this year and you’ll never go back to frantically finding a birthday present the night before the birthday. What an interesting concept! I don’t have that many people that I buy gifts for outside of my family, so I stick to a yearly calendar that reminds me when birthdays are coming up. Funny, I just started this. Truth be told I am incredibly organised but a huge perfectionist so everything is done at the last minute. I lost my job last April, a year ago, and so we cut expenses a lot. I went through the summer and bought gifts for my very special people but did not attend lots of baby showers , weddings, and graduations of people from church and work associates. I felt horrible and it has caused me to feel like I lost friends. So when everything went on sale at Christmas I bought a few deeply discounted items. Since then I have used those five or ten dollars of free merchandise cards from kohl and bought baby items, household items and cards. They may not be very special but I do not feel so bad. All it takes is a little effort and ingenuity. And I am loving it. Hi Rosemarie !!! First of all, I wanna congratulate you for your blog! I really like it and, although I live in Brazil, there are so many tips that I can use! I love the tips in this post. The crazy thing is, I have been out before and not picked up a gift because it wasn’t close enough to the person’s birthday! How dumb is that! I love the idea of getting things that are unique when they are found. Great post! Thanks for sharing!! My father passed away 30 years ago and my mom passed away last March. This year for Christmas my daughter found a place on Etcy where she could send the word “Love”in my parents hand writing from cards she found that they had sent. The person made little pendants on a necklace. I look at those and think of them always. She made me open it last because she knew I’d cry! The best gift I ever received was for my 50th birthday last month. My oldest daughter took the day off of work and drove an hour and a half to appear at my classroom door with 50 balloons. It makes me start to tear up every time I think about it.